My parents generation—the so-called “greatest” generation—trusted nonprofits. They believed that not only did they do good works, but they did them well. But from Boomers to Millennials, that trust seems to have gone out the window. According to a 2015 study by Camber Collective, almost half of the over 3,000 participants of a survey—all of whom had household incomes exceeding $80,000 (and half over $300,000)—said they were concerned about how nonprofits use their money. Close to 100% ranked this among their top three concerns about nonprofits. I wish I could say this was surprising, shocking even. But it’s not. It’s the reason that more than half of your first time donors never, ever make a second gift. And why about 35% of repeat donors stop giving. THEY DON’T KNOW WHAT YOU ARE DOING WITH THEIR GIFT. And that means they don’t feel comfortable continuing to give to you. What is shocking about this is that it is such an easy thing to fix. 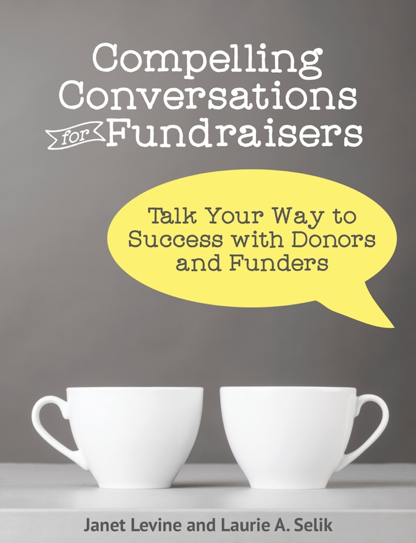 How hard would it be to let your donors know how their support changes things for your clients or your cause? So fine. Unrestricted monies typically do go to operations—but honestly, how much could you accomplish if you didn’t have money to pay rent, turn on the lights, hire appropriate staff? But you don’t need to go there—simply show your donors how they help to make a difference. That means being transparent about your programs and your results. Write letters, articles in your newsletters, call your donors and tell them why they matter. Make that 4 amazing purposes as you will also be engaging your board members and educating your donors! Remember that old expression “Win-win”? This is it. Big time. If you have the kind of program where you can show results rather than simply tell about them—do that. You don’t need to hire a professional videographer (though that wouldn’t be a bad use of marketing dollars). Take shots on your smart phone. Edit them into 45-second snippets and share with your donors. Recent studies point out that 59% of the population would rather watch a video than read something. Give them what they want. Trust comes when people know you; when they feel that you are doing what you say you are; when they have reason to believe that you are being honest in your relationships with them. We are living in a world today where—alas—it is increasingly hard to trust. I like to think that our sector is different somehow. We strive to do good; to make the world a better place. We need our supporters to know that, believe that, and help us do the important things we do. Janet Levine helps none profits move from mired to inspired. Let her inspire you and your board. Check it out at www.janetlevineconsulting.com. This entry was posted in business practices, communication and tagged donors, trust, win-win. Bookmark the permalink.